Upcoming Events: Applications now open for 3-year Training Program Beginning March 2019. Intake interviews are now underway for a 3-year training course in transactional analysis psychotherapy with the Physis Institute, beginning in March 2019 in Dunedin. The course leads to an international qualification as a certified transactional analyst, membership of the NZ Association of Psychotherapists and it is currently a pathway to registration as a psychotherapist in New Zealand. Attendance at a TA 101 Introductory workshop or completion of the written TA 101 assessment. For enquiries, contact Jo Stuthridge at jo@jostuthridge.co.nz or phone 03 455 1067 and leave a message. The Physis Institute The Physis institute Ltd offers training in transactional analysis psychotherapy. The training programme leads to an international qualification as a Certified Transactional Analyst and is currently a pathway toward registration as a psychotherapist in New Zealand. Please note that accreditation for training providers is presently under review by the Psychotherapists Board of Aotearoa New Zealand (PBANZ) which may lead to changes in this process. Our Philosophy and Approach We believe that becoming a psychotherapist involves training in a modality and personal development. Personal development requires a commitment to personal psychotherapy and supervision. The training program incorporates contemporary developments in the wider field and classical knowledge. The content draws on current infant research, neuroscience, attachment theory and contemporary relational theorists in addition to psychoanalysis and classical transactional analysis. Our overall aim is to encourage each trainee to find his or her own preferred style and identity as a therapist. Transactional analysis training Transactional analysis provides a theory of personality and human relations offering systematic methods for personal growth and professional development. It is suitable for practitioners in counselling, psychotherapy, and related professions. The first year can be taken for personal development. Beyond this, the training is focused on psychotherapy and trainees must have work that allows for application of the theory and methods. Uniform standards are in operation wherever TA training is available from accredited trainers, allowing trainees to move between centres and countries as smoothly as possible. It is a requirement of this institute that trainees beyond the first year are having, or have had, extensive personal therapy. Trainees are expected to acquire a personal library and to study outside of the training days. Supervision is an integral part of the training and needs to be undertaken with a supervisor affiliated to the institute. TA endorsement procedures are transparent. Trainees are never examined by their own supervisor or trainer, and where possible, overseas examiners are used. Registration: The CTA exam is currently a pathway to registration as a psychotherapist with the Psychotherapists’ Board of Aotearoa NZ. MSc in Psychotherapy: The CTA exam accounts for 120 points out of the 180 points required for an MSc in transactional analysis psychotherapy with Metanoia Training Institute and Middlesex University in London. The remaining 60 points may be gained by a thesis. Jo Stuthridge MSc TSTA NZAP is a registered psychotherapist in private practise and a Teaching and Supervising Transactional Analyst. She has published several articles on transactional analysis. 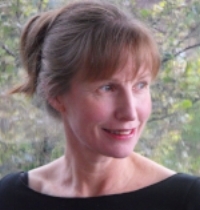 Jo is currently a co-editor for the international Transactional Analysis Journal and a Teaching and Research Associate with Auckland University of Technology. Charlotte Daellenbach, TSTA, works as a psychotherapist, supervisor and trainer in private practice in Christchurch. She has been teaching transactional analysis since 1987, in New Zealand, Australia and South India. She served for seven years on the Board of Trustees of the International Transactional Analysis Association and was involved for over a decade with the Board of Certification. She is a past president of the NZ Association of Psychotherapists, Te Rōpū Whakaora Hinengaro. Elana Leigh B.Sc. Social Work (University of Cape Town). MSc. Integrative Psychotherapy (Middlesex,London). Training and Supervising Transactional Analyst TSTA (ITAA). 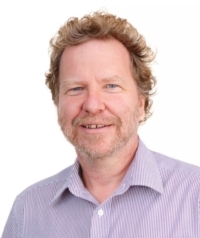 Keith Tudor PhD TSTA is a transactional analyst and Professor of Psychotherapy at Auckland University of Technology where he is Head of the School of Public Health & Psychosocial Studies. He is the author of some 250 publications including 16 articles and 2 books on TA, and is associated with the co-creative perspective in transactional analysis. The structure of training is consistent with international standards and follows a three-year cycle. The core training group will meet for 14 days of theory and practice, from 9.30 - 4.30 at the Alexander McMillan Room, Community House, 310 Moray Place Dunedin. A first year can be taken for interest only and self-development, however second year trainees need to be working in a field where they can apply their skills. It is recommended that trainees either have or are pursuing a relevant tertiary qualification and, beyond year one, personal therapy. There are opportunities to practice skills and apply theory in every workshop. Teaching methods will include experiential exercises, didactic teaching, group process and practise with each other in small groups. All trainees are expected to attend every workshop. There will be one written assignment in the first year, 2 assignments in year 2 and 3 assignments in year 3, each of 1500 words. One 20 minute oral presentation to the group is required each year, based on one of the written essays. Progress from one year to the next will depend on attendance, completion of written assignments and skill development as demonstrated in practice sessions. Training days in June and September and will be open to non-institute members. Australasian TA conference 7-10 November, Sydney. When considering an application, the cost of supervision and personal therapy must be taken into account in addition to training course fees. To secure a place please enroll by 15 Feb with a deposit of $250. Make cheques payable to the “Physis Institute”, and send to: 85 Cliffs Rd, Dunedin 9012. Payment by internet: The Physis institute, account number: 03 0905 0511059 00. Please include your name in the reference field. Wellington Transactional Analysis Training Institute Inc.